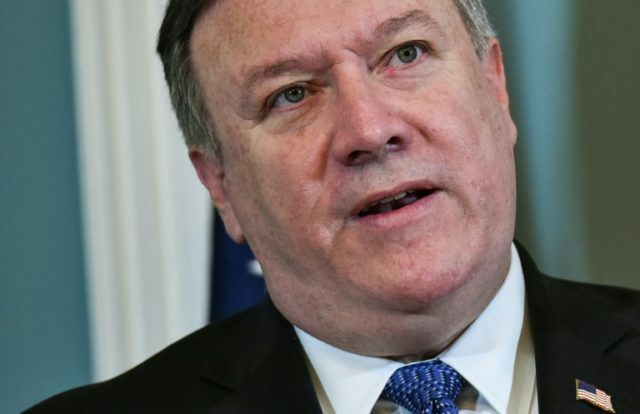 Washington (AFP) – US Secretary of State Mike Pompeo on Monday warned Iran would be hit with the “strongest sanctions in history” and cautioned European firms against continuing to do business in Tehran, toughening up Washington’s policy line after its withdrawal from the nuclear pact. In his first major foreign policy address since moving to the State Department from the CIA, the longtime Iran hawk and ardent opponent of the 2015 nuclear pact outlined an aggressive series of moves designed to counter Tehran, which he called the world’s top sponsor of terror. Pompeo said if Iran were to abide by the stricter terms, including ending its ballistic missile program and its interventions in regional conflicts from Yemen to Syria, the United States would lift its new sanctions. “Iran will be forced to make a choice: either fight to keep its economy off life support at home or keep squandering precious wealth on fights abroad. 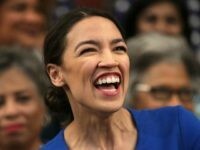 It will not have the resources to do both,” he said. President Donald Trump has long said the original 2015 deal with Iran — also signed by Britain, China, France, Germany and Russia — did not go far enough, and now wants the Europeans and others to support his hardline strategy. The deal was designed to prevent Iran from developing a nuclear weapon. The international community, including top US officials, have said Tehran had been in compliance. But Trump despised the deal, pointing to other aspects of Iranian behavior not covered in the pact, and on May 8 he pulled America out despite intense diplomatic efforts by European allies who had beseeched him to stick with it by adding tougher new elements. “Iran’s leaders saw the deal as a starting gun for the march across the Middle East,” Pompeo said. These essentially address every aspect of Iran’s missile program and what the US calls its “malign influence” across the region, including support for Syrian President Bashar al-Assad, Hezbollah and Huthi rebels in Yemen. “It must cease its threatening behavior against its neighbors,” Pompeo said. “This certainly includes its threats to destroy Israel, and its firing of missiles into Saudi Arabia” and the United Arab Emirates, he added. European allies heard how he expects their support for the new US plan — but he offered nothing in return, and threatened economic fallout for anyone still dealing with the Islamic Republic. “We understand that our re-imposition of sanctions and the coming pressure campaign on the Iranian regime will pose financial and economic difficulties for a number of our friends,” he said. In reality, there is no choice — European companies cannot afford to forsake the US market. For now, the European Union is trying to persuade Iran to stay in the 2015 agreement, even without Washington’s participation. Critics rounded on Pompeo’s speech, saying his demands could have been made without pulling America from the nuclear deal. “Pompeo has not outlined a strategy, but rather a grab bag of wishful thinking that can only be interpreted as a call for regime change in Iran,” Suzanne Maloney of the Brookings’ Center for Middle East Policy wrote on Twitter.